The Pirelli Thai Round Tissot Superpole session was red-hot, much like the weather and track temperature, with action and drama all the way through. 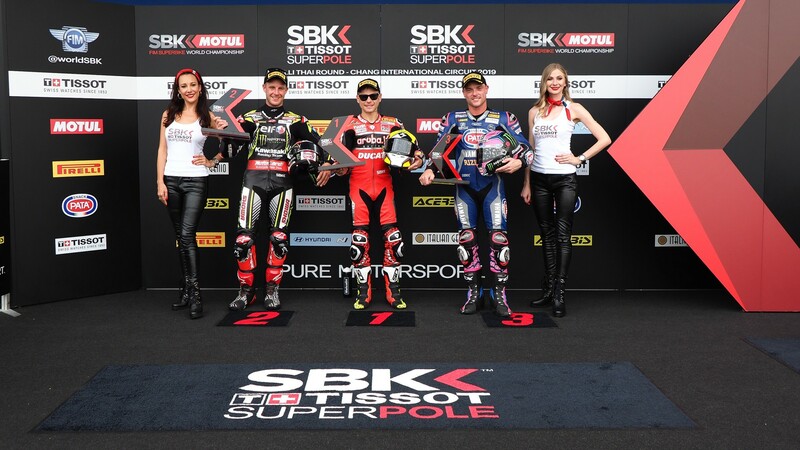 Whilst a lot of riders went out together on the opening stint, a flurry of action scattered across the final eight minutes made for an exciting close to Tissot Superpole on Saturday. 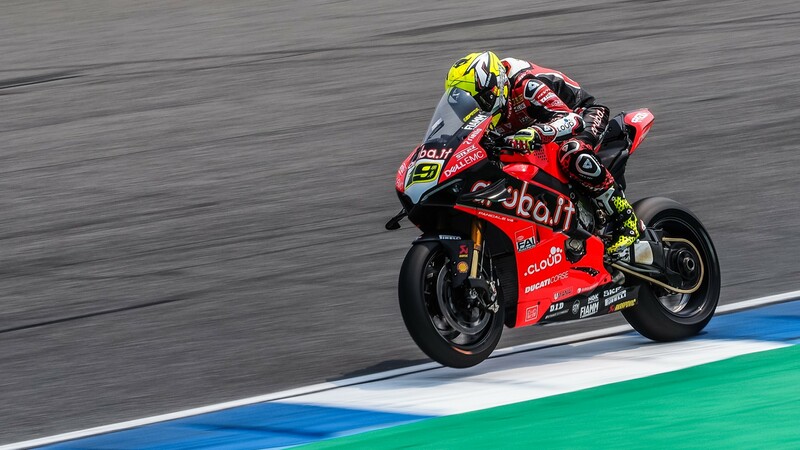 Alvaro Bautista (ARUBA.IT Racing – Ducati) wasted no time at all, running second at the start of the session before going top with a 1’32.631 – a new lap record at the time and still only using the ‘race tyres’. However, the Spaniard blitzed the field with his Superpole tyre and became the first WorldSBK rider ever to enter the 1’31 bracket: 1’31.912 saw Bautista cement his top slot for his first ever Saturday pole position. Teammate Chaz Davies was no match for his teammate and only ninth on the grid. 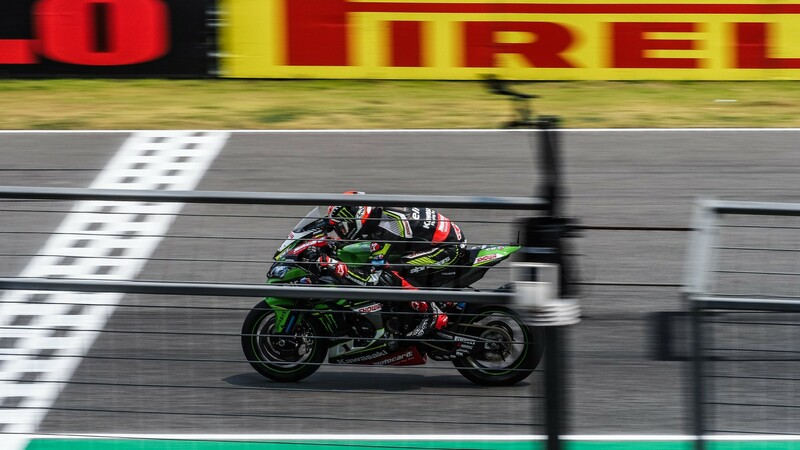 Having been in Bautista’s wake all throughout Friday, Jonathan Rea (Kawasaki Racing Team WorldSBK) strolled out on to the circuit a little later than everyone else and ran wide on his first flying lap down at Turn 3. The four-time champion recovered to fourth not long after before returning to the pit lane, ending a rather short opening stint. Rea fought back towards the end but only finished second, 0.429s from Bautista. Teammate Leon Haslam was initially struggling but on his last stint with the ‘Superpole tyre’ in the Kawasaki ZX 10RR, the ‘Pocket Rocket’ was as high as second but finished back in fifth. 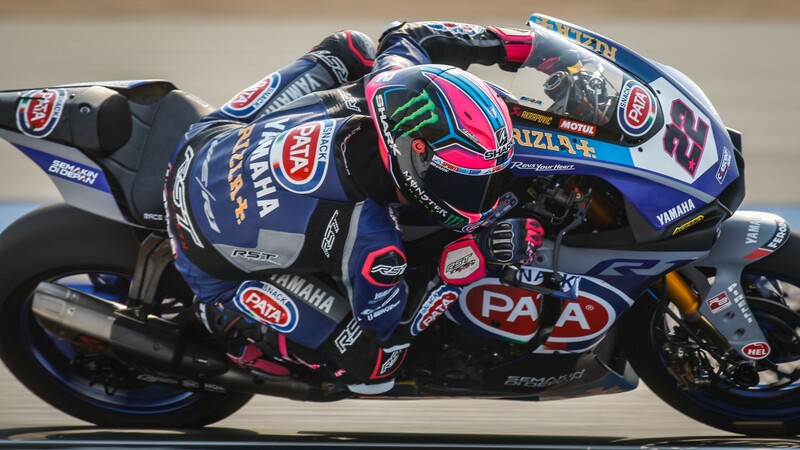 British rider Alex Lowes (Pata Yamaha WorldSBK Team) made it three manufacturers on the top three position and retained his position from FP3. On the front row after Saturday Superpole for a second time (first time in 2015), Lowes was less than a tenth of a second from Jonathan Rea’s Kawasaki and has a chance to take the fight to both Bautista and Rea from the front. His teammate, Michael van der Mark, languished somewhat after Superpole, down on row four and completing the top ten. Certainly, work to do for van der Mark. 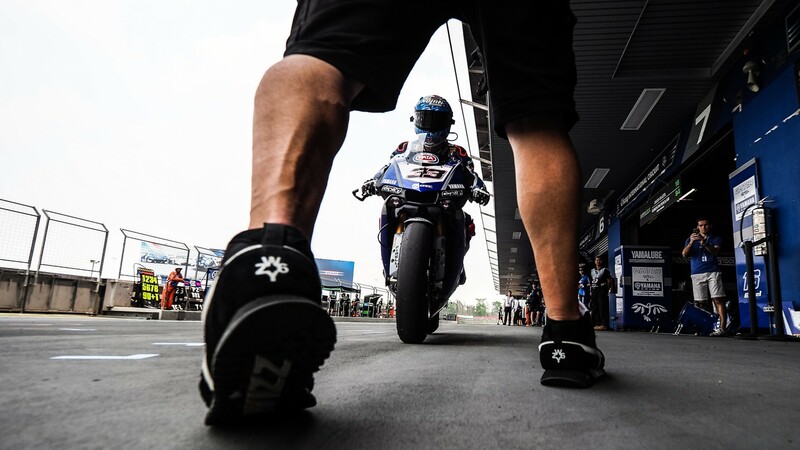 German revelation Sandro Cortese (GRT Yamaha WorldSBK) continued his impressive form in Thailand and heads up the second row, in fourth position. The first time a German rider has started on the second row since Markus Reiterberger at Sepang in 2015, Cortese will be one to watch in Race 1. 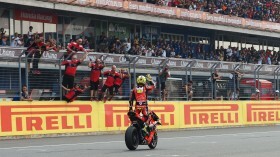 Marco Melandri couldn’t match his teammate and was only seventh, heading up row three. Top BMW honours went to Tom Sykes (BMW Motorrad WorldSBK Team) didn’t feature sharply at the start of the session but soon came towards the front at the end. The 2013 WorldSBK champion took sixth place with his last flying lap, giving BMW a second-row start for a second consecutive race. German teammate Markus Reiterberger couldn’t replicate his teammate and was only 11th. 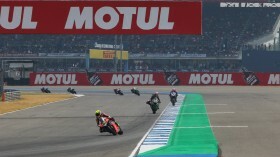 Team Goeleven Ducati rider Eugene Laverty finished in eighth, ahead of both Davies in ninth and van der Mark in tenth. The Irishman has never finished a race inside the top eight so a good start to the first race day for the 13-time WorldSBK race winner. 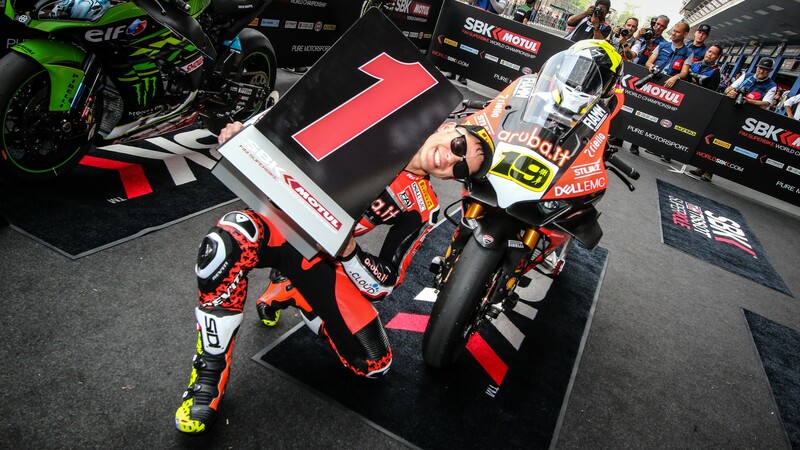 Alvaro Bautista is the first Spanish rider to qualify on pole position in the Tissot Superpole Saturday session since Carlos Checa at Phillip Island in 2013. He is the first Spaniard to start from the front row at Buriram too, whilst giving Ducati their first pole position in Thailand too! Can Bautista break even more records throughout the weekend? Watch the action with the WorldSBK VideoPass!